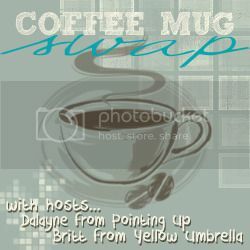 A couple weeks ago, I decided to participate in a Coffee Mug Swap hosted by Dalayna from Pointing Up and by Britt from Yellow Umbrella Designs. 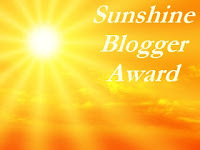 I thought it would be so fun to connect with other bloggers and really, what is a better way than to connect over coffee mugs...I mean, I am quite sure that my blood is made up of 50% coffee! So here is the scoop on the coffee mug swap. I gave Dalayna all my social media info and address. She in turn sent me the information of another blogger and it was my job to stalk all of her media outlets in order to get to know her and send her a mug that reflected her. Well, I was introduced to a lovely bloggess named Suzanne Winter from Winter Wonderings, Wandering & Whatnot. Suzanne is a busy mother of three incredibly gorgeous children; a set of twin boys and a baby girl 14 months apart. She does amaaaazing photography and is incredibly talented in sewing. I am of course super jealous, because as I have expressed many times, my craftiness level is close to non-existant. 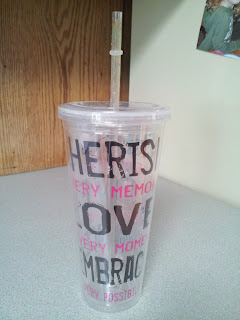 It as great getting to know Suzanne through her blog and I had a blast finding a mug perfect for her. Ready for the big unveiling...here it is!!! This "mug" that Suzanne picked out for me is so wonderul. It has great little positive sayings on it that says, "Cherish Every Memory, Love Every Moment, and Embrace Every Possibility." HOW FANTASTIC IS THAT??? If you follow me on Facebook, then you know that I love posting motivational quotes throughout the day and I try to to maintain a positive outcome on life in general. So since, I have received my "mug," I have used it every day. It is actually the perfect size for me to drink my Shakeology out of in the morning and what a bonus to start my morning out with a reminder fun experience. So a huge thanks to Suzanne and to Dalayna and Britt for hosting this swap! that is so cute! Both the idea of mug swapping and the one you actually received! I participated in this mug swap also and absolutely adore the mug I received, too. Haha! It was such a fun idea! I'm looking forward to the next one! Nice!! Really like the idea of the swap! What an amazing experience and a great opportunity to get to know another blogger! Great mug by the way! It was really great. I got to find some blogs that I have never come across before and the people who participated really put a lot of thought into it, so it was a fun experience!